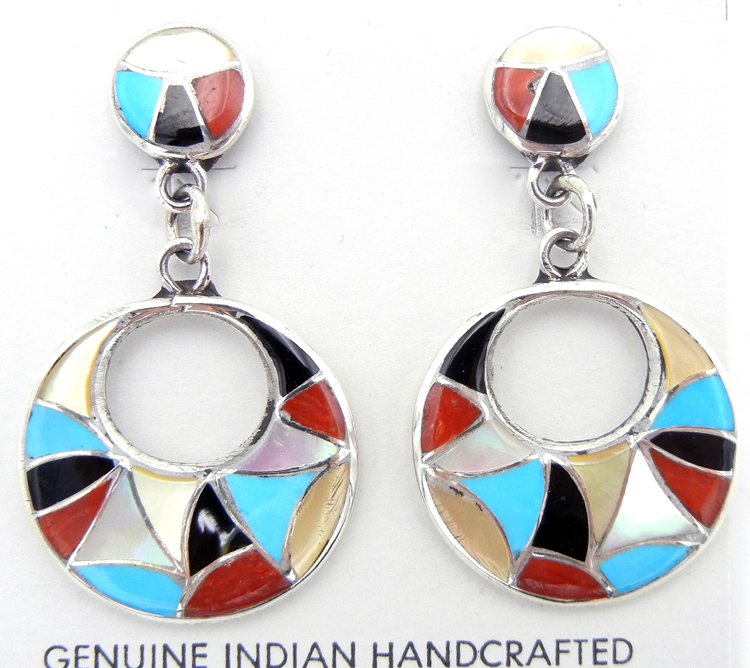 Multiple stones separated by slivers of inlaid sterling silver create geometric patterns in these vibrant Zuni dangle earrings. 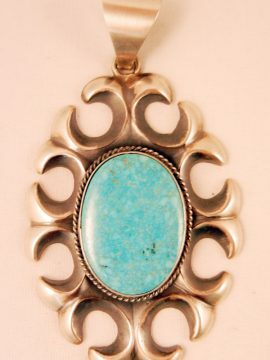 Each earring showcases a post inlaid with turquoise, coral, jet, and golden mother of pearl, all separated by curved slivers of sterling silver. 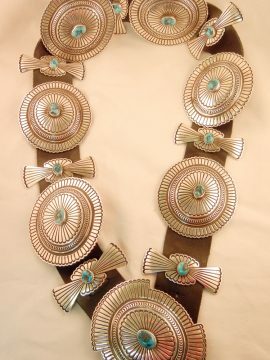 Hanging just below is a larger sterling circle, cut out at the center and inlaid with each of the aforementioned stones, as well as white mother of pearl. 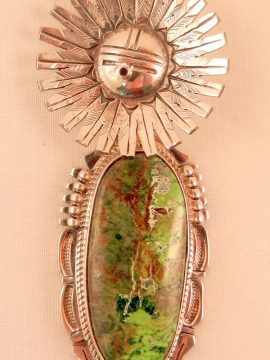 These stones, too, are separated by curved, inlaid sterling slivers, which play off of each stone brilliantly, adding shine and interest. 1 3/4″ long x 1″ wide. Earrings are post.